Citizen Cope is a pseudonym of Clarence Greenwood, keyboardist, guitarist, singer, DJ, and record producer. Citizen Cope now lives in Brooklyn, New York. Born in Memphis, Tennessee, Greenwood started his musical career as a DJ for the hip hop act Basehead, a group that would have a significant impact on his style as a solo-musician. 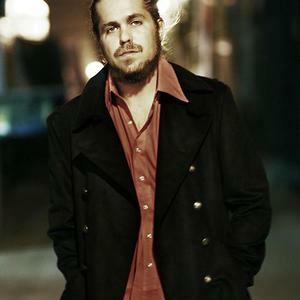 Citizen Cope blends many genres of music, such as folk, blues, hip hop, rock, and R & B. Born in Memphis, Tennessee, Greenwood started his musical career as a DJ for the hip hop act Basehead, a group that would have a significant impact on his style as a solo-musician. Citizen Cope blends many genres of music, such as folk, blues, hip hop, rock, and R & B.
Greenwood first released a demo tape under the name Cope Citizen in the late '90s. He would follow up the release of the demo by donating songs to several independently issued compilations, movie soundtracks, as well as appearing on several fellow artist's albums. In 2000 Greenwood signed with the DreamWorks Records label, which released his first album in September 2002, Citizen Cope. Greenwood toured to promote the record as an opener for Nelly Furtado. He performed at the Coachella Valley Music and Arts Festival in Indio, California, in 2002. After the release of Citizen Cope, Greenwood felt the label "mishandled" the record, creating tension between the two. The tension prompted Greenwood to buy out his contract with the label, using the advance he received from his next label, Arista Records and RCA Records, to do so. In September of 2004, Citizen Cope released his second record, The Clarence Greenwood Recordings, which earned him much critical success as well as minor touring success as an opening act for a popular touring band, Robert Randolph & The Family Band. In 2005, Cope continued to tour the United States promoting his second major label record. In April, his song "Son's Gonna Rise" began appearing in a Pontiac commercial and was distributed as the album's second single. The song "Bullet and a Target" was played in the end credits of the 2006 film The Sentinel, during a scene of the 2007 movie Alpha Dog, and also during a scene in the ski film Tangerine Dream. The song "Let The Drummer Kick" was featured in the film Accepted and Coach Carter. It was also featured on the HBO series Entourage during the fourth season finale "The Cannes Kids." Entourage also featured the song "Awe" during the second part of the third season's (3B) episode "The Prince's Bride".The song "Son's Gonna Rise" was featured in the television series, One Tree Hill. The song "Sideways" was featured in the television series Scrubs. On September 12, 2006, Citizen Cope released the new album, Every Waking Moment. He is also featured on the track "Bullet" on rapper Rhymefest's album Blue Collar, and is included on the compilation Radiodread with his cover of Radiohead's "Karma Police." In 2008, Citizen Cope parted ways with RCA Records, but made an appearance that same year for Dido's album Safe Trip Home, in which he collaborated for a track titled "Burnin' Love." His newest album, The Rainwater LP was released digitally in February 2010, with physical versions releasing a month later. This new set was released under his own label, RainWater Recordings. He is currently on tour promoting this new album.